Acer has quietly unveiled its Iconia Tab A110 at Computex in Taipei, which looks set to replace the Iconia Tab A100. The Iconia Tab A110 features Nvidia's quad-core Tegra 3 processor, 1GB of RAM, 8GB of internal storage, 7-inch (1024 x 600) display, Android 4.0 Ice Cream Sandwich, front-facing camera and micro HDMI, USB and SD card slots. These specifications are pretty good, but the offering gets a lot more interesting after hearing that the Acer Iconia Tab A110 will be available for less than $200 (around £130). That means the Iconia Tab A110 will go head to head with the Amazon Kindle Fire, which can't match the power capabilities of Acer's new tablet. The battle for the best budget tablet is starting to hot up as the Iconia Tab A110 is set to be joined by the likes of the Google Nexus tablet, Amazon Kindle Fire 2 and possibly even an iPad Mini later this year. 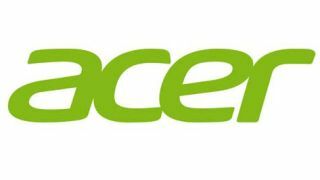 The Acer Iconia Tab A110 is expected to arrive on the market sometime during the third quarter of 2012, and we're super keen to get our hands on it when it does rock up.